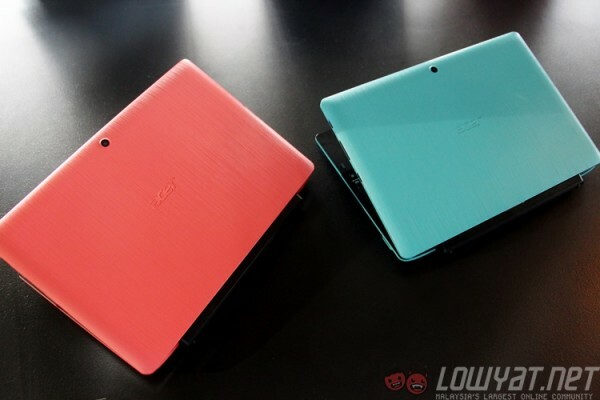 Acer’s mammoth product launch in New York featured over forty new products, encompassing its traditional range of laptops and tablets and into more product categories, including all-in-ones, its new gaming range as well as strengthening its convertibles lineup. 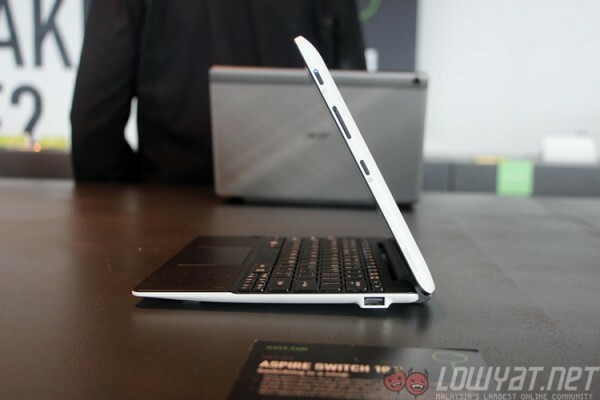 One of these is the new Switch 10 E, the refreshed edition to Acer’s successful first-generation Switch 10 convertible. The 2-in-1 convertible market is becoming a very competitive one in Malaysia, especially in the lower-end segment. Last year’s Switch 10 was one such example, offering decent specs at a price that offers good value for money – classic Acer traits. This year, the Switch 10 E offers more of the same. It is now powered by Windows 8.1 with a free upgrade to Windows 10 when it is available. Interestingly, the body is only marginally thicker and heavier compared to the original Switch 10 – but with differences of just a few millimetres and about 50g in weight, it is barely noticeable. 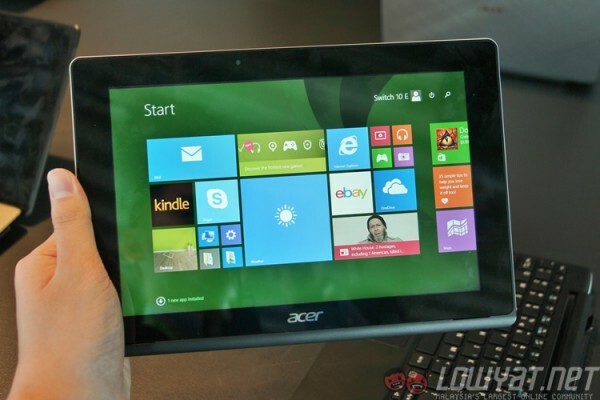 Hardware wise, Acer states that the new Switch 10E will be using an Intel Atom quad-core chipset with integrated Intel HD Graphics onboard. There’ll also be configuration options of 1/2GB of RAM and 32GB or 64GB of eMMC internal flash storage. 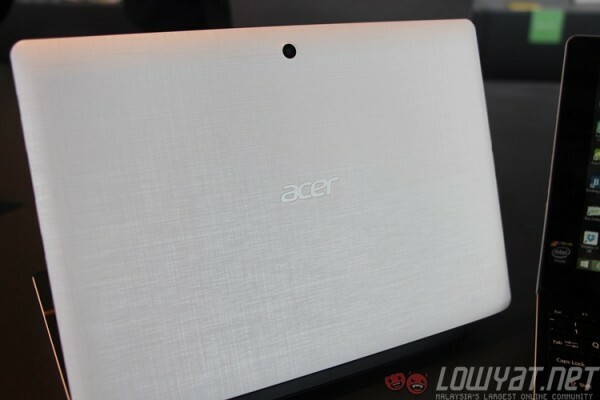 The Switch 10 E retains the 10-inch 1280 x 800 IPS display, but with the new Atom processor Acer claims the battery life has been boosted to up to 12 hours on a single charge. There are also 2MP front and rear cameras, too. In terms of weight, the Switch 10 E is quite light, at 630g for the pad and 1.2kg when combined with the keyboard. Speaking of which, Acer has introduced a new locking mechanism for the Switch 10 E. Called the Snap Hinge 2, it improves upon the original design, making it easier to remove the tablet portion while at the same time offering a more secure fit. Now, what’s interesting about Snap Hinge 2 is that, like the original mechanism, there is no lock or button to press before removing the tablet portion – the system intelligently detaches under a specific amount of pressure, so it also doesn’t easily detach when you lift the tablet. As for the locking mechanism, you just place the tablet and keyboard close together and magnets located on each end of the device will pull the two portions in and locking them together with a satisfying click sound. Also, as a convertible the Switch 10 E naturally must offer many usage modes. 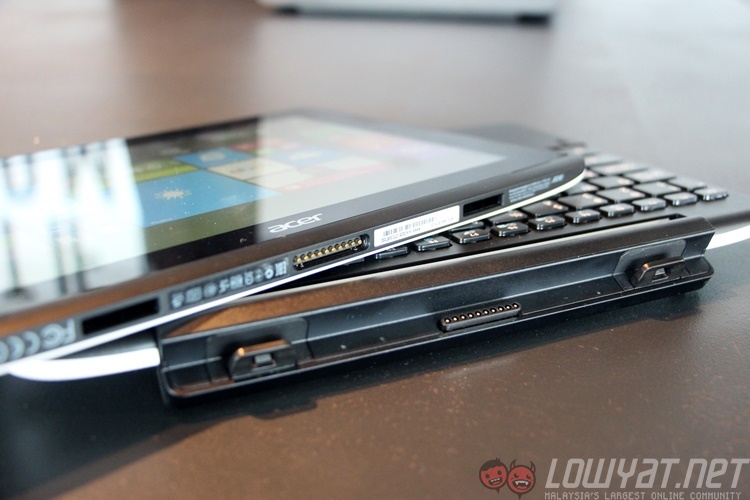 You can use it as a tablet, a notebook and also a dock mode for entertainment purposes. The Snap Hinge 2 is fully reversible, meaning that you can insert the tablet portion in the “opposite side” of where it should be, and it’ll snap just as securely. On top of that, there’s also Acer SwitchLock, a feature that secures users’ data with a HDD pairing solution. 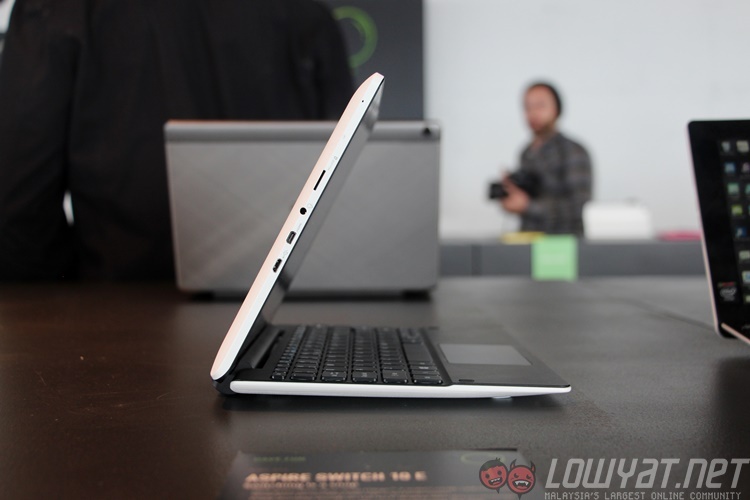 Inside the keyboard portion is a hard disk (depending on the market, there’s either a 500GB or 1TB hard disk inside), and SwitchLock ensures no other Switch 10/10 E user can dock their devices onto your keyboard dock and access your data. 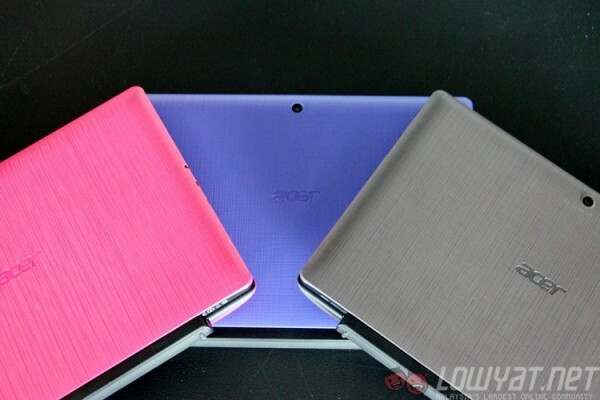 Finally, one of Acer’s main themes this year is to offer a greater variety of colours its products are available in. Hence, the Switch 10 E will come in no less than five colours, from the traditional white to funky hues like pink, purple, teal, orange and grey. 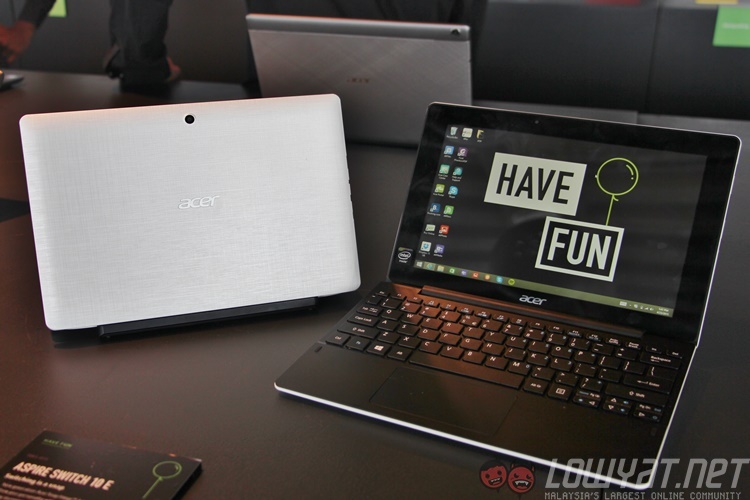 The Acer Switch 10 E is one of several Acer products unveiled in New York that will be coming to Malaysia. 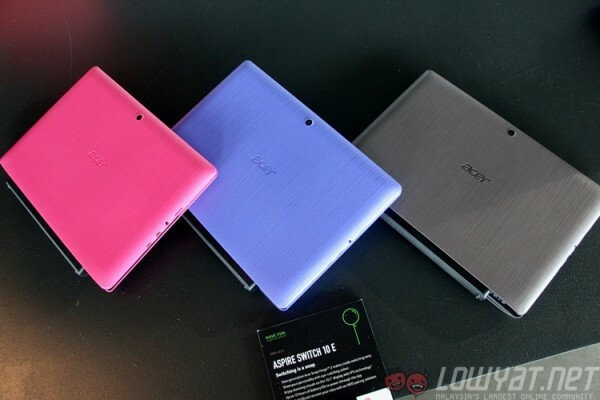 Pricing and configuration options will be revealed at the Malaysian launch of the product, which will be held this week.